Raised Bed Plan - Lettuce, Red Onion, Winter Carrots, Lettuce, and Beetroot. Carrots and Onions traditionally thrive together. 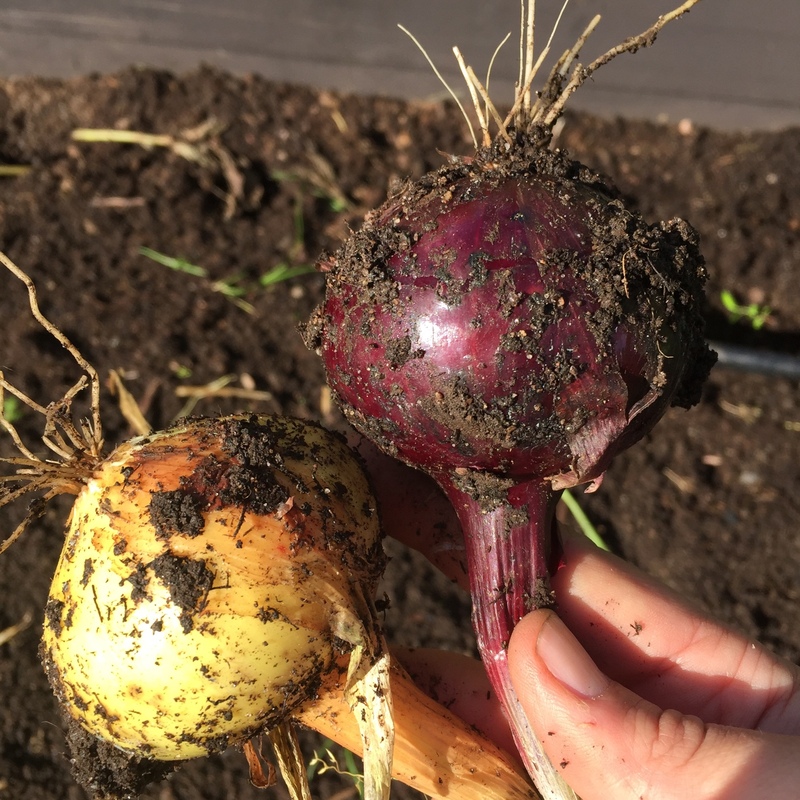 The smell of Onions keeps the Carrot Bugs away, and they compliment each other since Carrot roots grow deep and Onion roots grow wide between the rows. Sowing Carrots and Planting Onions at the same times enables me to grow something before, and something after these Crops. I choose Salad for the first Batch as I have plenty of other Early Crops in other beds. 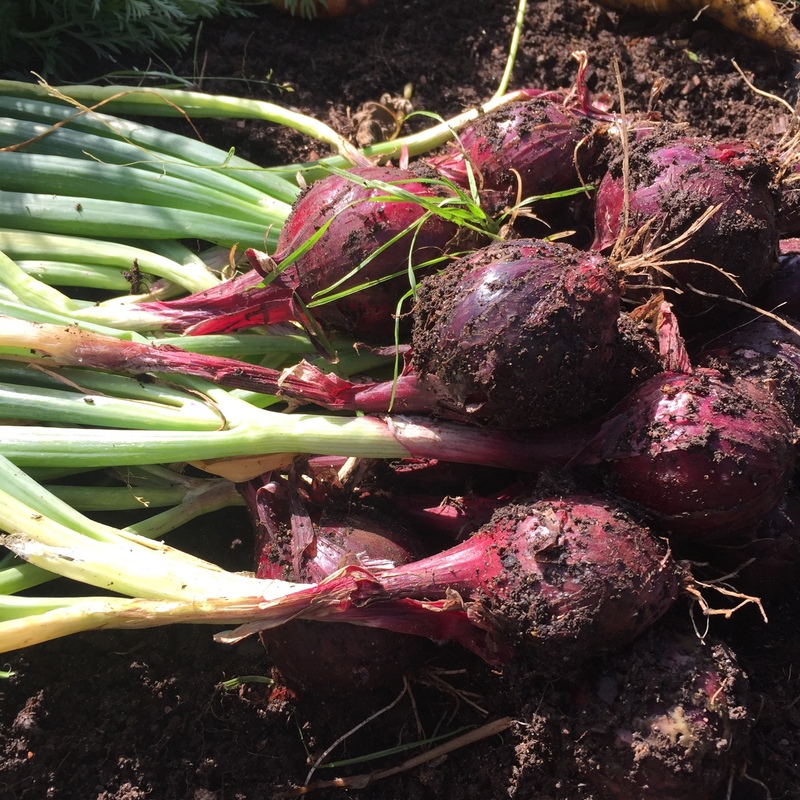 I choose Beetroot for the last Batch since they belong to the same Family as Carrots and goes well into this Garden Bed from a Crop Rotation Perspective. 3b = This bed is in the "Needs Less" Quarter in my Crop Rotation Plan. Depending on how cold/warm the spring is, the Salad will be ready to harvest at different time. Harvest Continously as soon as you can. No reason to save for later. Eat as much as you can and enjoy early Salad. Harvest continuously, first Salad and later also Onions and Carrots when they are ready. Transplant your Beetroot Seedlings to bigger Pots if needed. Harvest the remaining Carrots and Onions. Plant your Beetroot Seedlings that you started in June. Cover with Snow and add a Glass or Plastic Frame on top. I started to see the first tiny tiny sprouts about 1 week ago. Then temperature dropped to -10 degrees celsius and we thankfully also got about 10 cm of isolating Snow. How wonderful to peek into this Raised Bed today and be greeted by Rocket Sprouts! No sign of Lettuce yet, but I'm sure they will come. Rocket is looking good. A few sunny days and I will be able to start harvesting this Raised Bed. Are you still keeping it covered? I found that when my plants outside were covered they were over heating.. Leaves almost going white.. Too much of a drastic change in temperature.. And too hot on Sunny days.. I removed the polytunnel from the plants that were planted in the ground and they are much better now.. The ones I had in trays I brought back inside... They are recovering.. If it gets really cold at night you should cover them.. But if it's close to 0..then leave it open.. Or just cover at night.. The early crops in this raised bed did not recover. Nice to start over again today by starting the Seed Onions and sowing Carrots. Onion and carrots are growing and I'm now picking carrots for dinner! Cleared the onion and carrot beds today. From mid may til beginning of september. 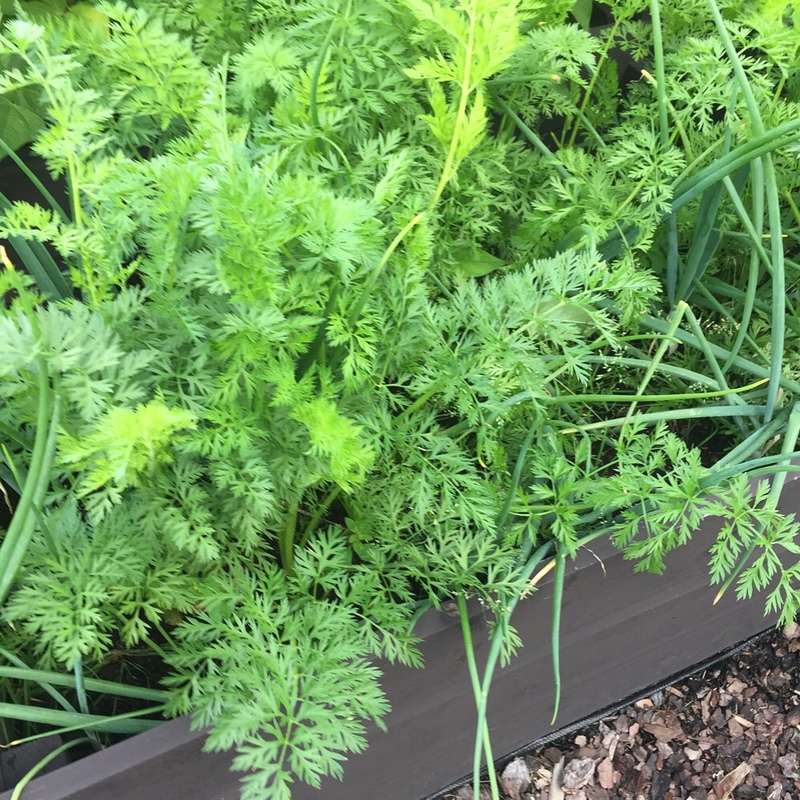 They grew in a Raised Bed together with Carrots.